Jacketed reactor vessel introduction Jacketed reactor is designed based on full mixing of reaction materials, which have very good results by adopting mixing equipment in the physical change process of heating, cooling, liquid extraction, and air absorption. Jacketed reactor is designed based on full mixing of reaction materials, which have very good results by adopting mixing equipment in the physical change process of heating, cooling, liquid extraction, and air absorption. 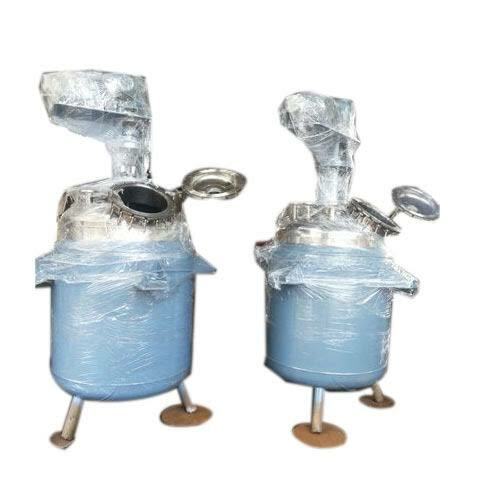 This series reaction vessels are rapid heating, high temperature and corrosion resistance for environmentally friendly and convenient use. We are capable of designing and manufacturing equipment according to technical needs of customers. The reaction vessel is widely used in industrial production of chemicals, pharmaceuticals, foodstuff, petrol, dye, and biochemical products, especially in various chemical reactions of chemical technical processes.